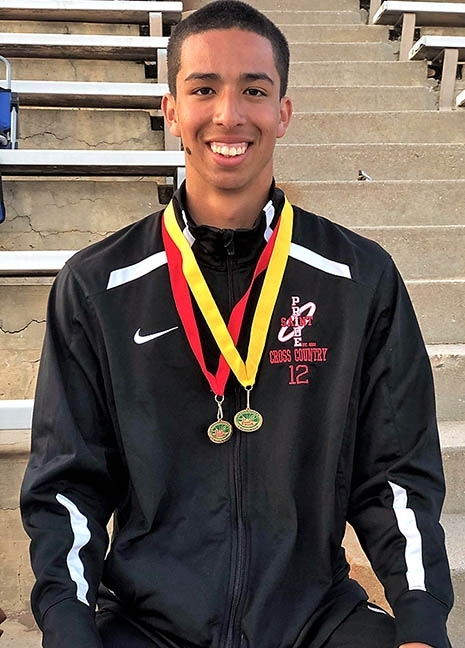 Santa Maria High School student Jayson Downey is still young, but track and field coaches expect to see great things from the athlete in years to come. Downey, a sophomore, specializes in long, high, and triple jumps. He's doing well enough in the league overall, but according to assistant coach Steven Youngblood, he's close to leading other jumpers his age. In the long jump, Downey is currently ranked as seventh in the overall league and second among other sophomores, Youngblood said. In the high jump, he's tied for first among sophomores. 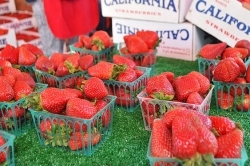 And at the Santa Barbara Easter Relays on March 23, Downey earned three medals: in the long jump, high jump, and a running event. Youngblood said it's his leadership and listening skills that make Downey successful. "He's very reliable," Youngblood said. "We can tell him to do something and turn our backs and know he'll get it done."